Three-time Perth Fringeworld Best Comedy Award Nominees, 2015, 2016, & Runner-Up 2017. As seen on Channel 10, ABC, Eleven, and The Comedy Channel. ★★★★★ "An absolute stand-out,one-of-the-best-moments-of-the-Fringe" The Fountain UK. ★★★★1/2 "Hilarious. You will not regret it" Herald Sun Melbourne. ★★★★★ "Their songs are side-bustingly hilarious" Melbourne Arts. After a completely Sold-Out worldwide tour in 2018, Beej (#1 Best Selling Author of the critically acclaimed novel Greenlight) and Jimmy (plays guitar) are back! 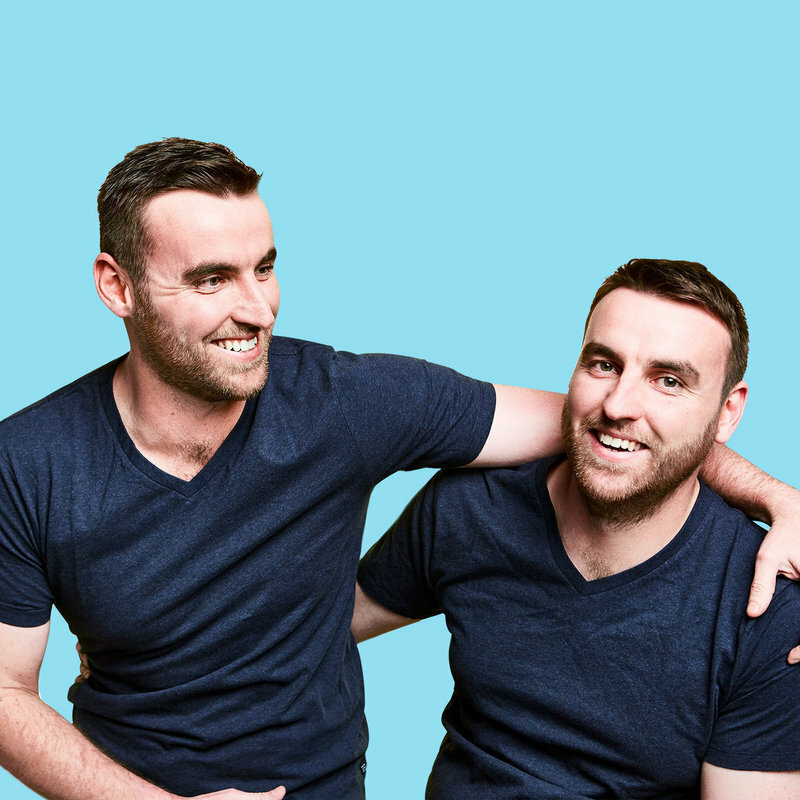 Australia's favourite twins return with a brand-new show - packed full of their hilarious songs and trademark sibling banter. See why they are quickly gaining worldwide acclaim for having one of the fastest and funniest hours at the festival, and find out what makes them tick.